A limited book (only 500 copies) is available since early december 2015. It is written again by Gerard Rappard who has worked with the dutch Quo Fan Club from the period 1975 till 1996. 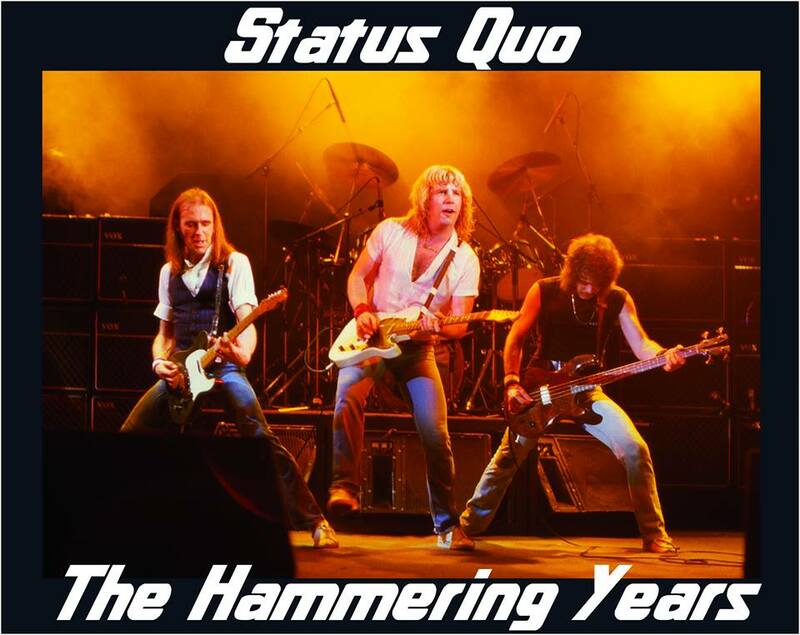 The book STATUS QUO THE HAMMERING YEARS is mainly about the Frantic Four period of the band Status Quo 1976 - 1986 till 2014 at London Hammersmith and John Coghlans Quo. London Hammersmith period seventies & eighties etc. Over 1000 exclusive photos, never published before! continuing story of the book Status Quo 50 Years and More.